TNW Conference is teaming up with tech giant Huawei for our coolest ticket offer yet. Buy a full access ticket to TNW2018 with our Huawei P20 Pass, and (you guessed it) get a Huawei P20 as well. The Huawei P20 and a full-conference ticket are on sale now for a combined price of €799, but be quick — we’re only offering 25. The P20 boasts a two-lens camera that integrates AI image-processing software. The result? Stunning images no matter the format. The AI automatically detects your surrounding, ensuring optimal photos whether it’s a dark street or a rich landscape. 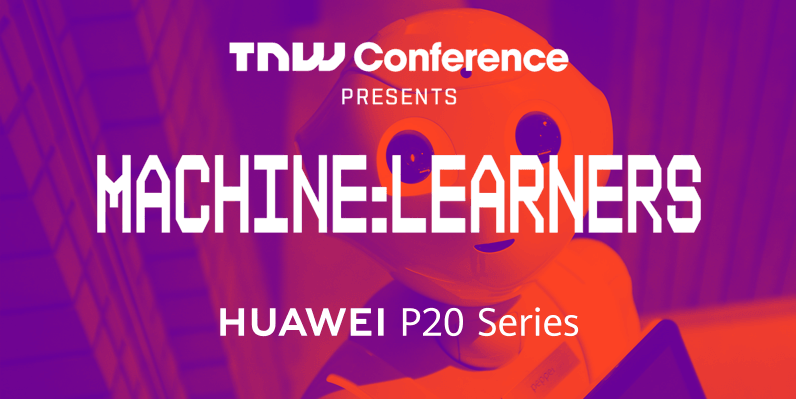 This AI integration makes the Huawei P20 a perfect fit for TNW Conference. Our Machine:Learners track delves into the future of artificial intelligence, exploring how it can enhance our daily lives. The P20 is a great example of how AI is advancing, and opens up possibilities for the future. Before we knew we would partner with Huawei, fellow editor Matthew Hughes published his review of the P20 Pro — another version in the Huawei P20 series. He fell in love with the sophisticated AI that can also be found in the P20. What sets the Pro apart is the three-lens camera, designed in partnerships with iconic German photographer firm, Leica. The P20 has two lenses, but Leica has also helped to develop its camera — ensuring that it’s still a photographic dream. On top of that, the P20’s software is almost identical to the Pro. With fingerprint and facial recognition, an AI voice assistant called HiAssistant, and fast-charging tech, it’s a fantastic smartphone with high-end performance. If you want stunning images and all the software goodies of the Pro version, the P20 is the way to go. Especially if you were looking to come to TNW Conference — it’s a win-win. It’s quite simple. Just head on over to the TNW Conference website. We’re only offering 25 tickets, so be quick! As a bonus, the first five to purchase will be invited to an exclusive lunch at the conference itself. We’ll be discussing artificial intelligence with a speaker from the Machine:Learners track — you don’t want to miss out. We’re looking forward to seeing you at the conference. If you manage to get your hands on our Huawei ticket deal, make sure you bring your new Huawei P20 with you. With stunning speaker stages and the beautiful park in which the conference is situated, there are so many AI camera modes to try out. We’ll see you there.